Whitevine Capital E - Blue. 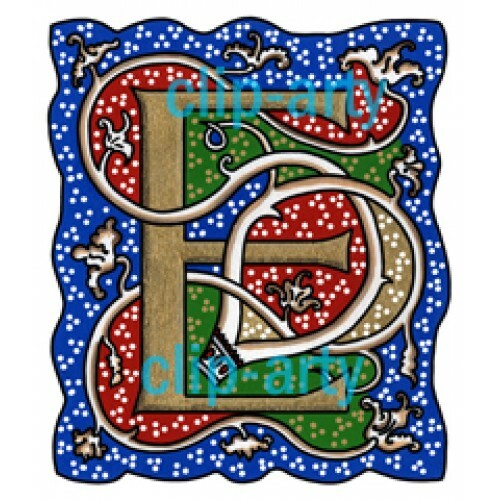 This is one of our full alphabet of Whitevine Illuminated capital letter. The letters are bordered with a blue background. 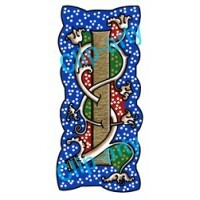 The letter was designed by our own artists. You can purchase the letters individually or as a whole alphabet at a much greater discounted price. Please review the specification details for information on dimensions and file size. This product is available as a digital download and you will receive instructions on how you can access the file one you have completed your purchase. There is no return option for digital download files so please take care you have made the correct selection during checkout. Whitevine Capital A - Blue. 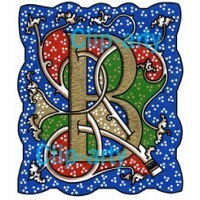 This is one of our full alphabet of Whitevine Illuminated capital ..
Whitevine Capital B - Blue. 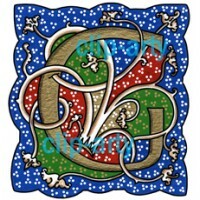 This is one of our full alphabet of Whitevine Illuminated cap..
Whitevine Capital G - Blue. 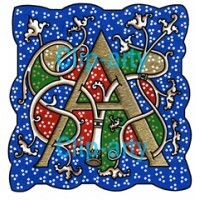 This is one of our full alphabet of Whitevine Illuminated cap..
Whitevine Capital I - Blue. 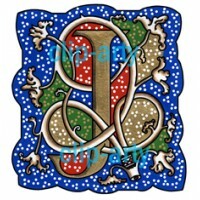 This is one of our full alphabet of Whitevine Illuminated capital ..
Whitevine Capital J - Blue. 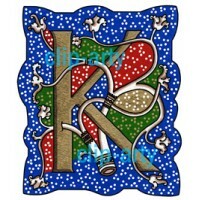 This is one of our full alphabet of Whitevine Illuminated capital ..
Whitevine Capital K - Blue. 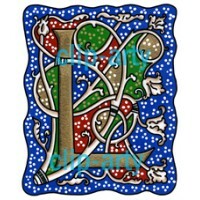 This is one of our full alphabet of Whitevine Illuminated capital ..
Whitevine Capital L - Blue. 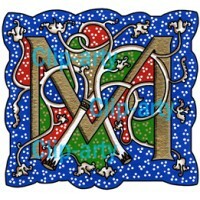 This is one of our full alphabet of Whitevine Illuminated capital ..
Whitevine Capital M - Blue. 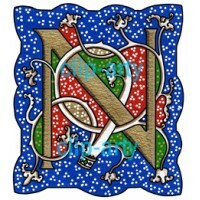 This is one of our full alphabet of Whitevine Illuminated capital ..
Whitevine Capital N - Blue. 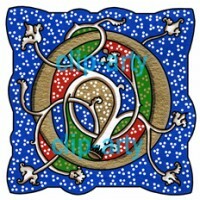 This is one of our full alphabet of Whitevine Illuminated capital ..
Whitevine Capital O - Blue. 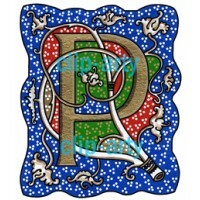 This is one of our full alphabet of Whitevine Illuminated capital ..
Whitevine Capital P - Blue. 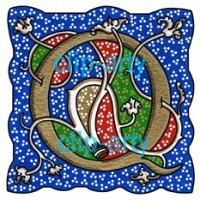 This is one of our full alphabet of Whitevine Illuminated capital ..
Whitevine Capital Q - Blue. 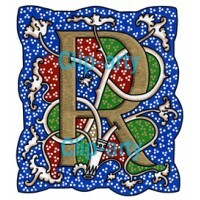 This is one of our full alphabet of Whitevine Illuminated capital ..
Whitevine Capital R - Blue. This is one of our full alphabet of Whitevine Illuminated cap..
Whitevine Capital S - Blue. 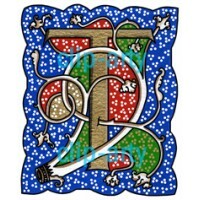 This is one of our full alphabet of Whitevine Illuminated capital ..
Whitevine Capital T - Blue. 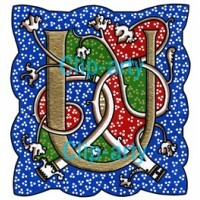 This is one of our full alphabet of Whitevine Illuminated capital ..
Whitevine Capital U - Blue. 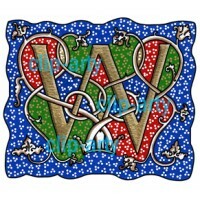 This is one of our full alphabet of Whitevine Illuminated capital ..
Whitevine Capital V - Blue. 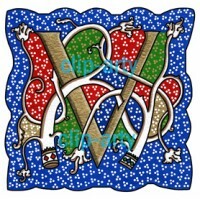 This is one of our full alphabet of Whitevine Illuminated capital ..
Whitevine Capital W - Blue. 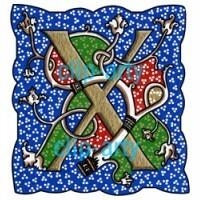 This is one of our full alphabet of Whitevine Illuminated capital ..
Whitevine Capital X - Blue. 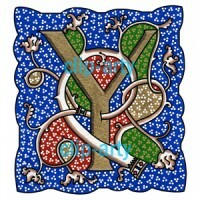 This is one of our full alphabet of Whitevine Illuminated capital ..
Whitevine Capital Y - Blue. 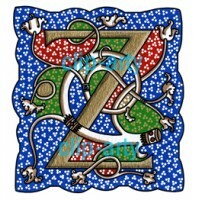 This is one of our full alphabet of Whitevine Illuminated cap..
Whitevine Capital Z - Blue. 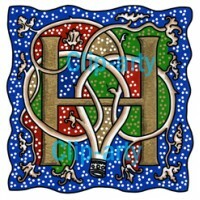 This is one of our full alphabet of Whitevine Illuminated capital ..
Whitevine Capital H - Blue. 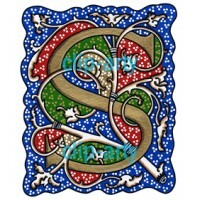 This is one of our full alphabet of Whitevine Illuminated capital ..